U.S. Supreme Court Justice Ruth Bader Ginsburg was admitted to George Washington University Hospital early Thursday morning after breaking three ribs in a fall in her court chambers Wednesday evening. Ginsburg, 85, returned to her home after the fall but began experiencing discomfort overnight, according to a statement from the court’s public information office. The justice then went to the hospital. The Supreme Court is in session today for the formal investiture ceremony for Justice Brett Kavanaugh, the court’s newest justice. This entry was posted in Current Events, Government, News, Uncategorized. Bookmark the permalink. Right when really cold weather is starting. Pneumonia high risk. Lucky she didn’t bust a hip. She has to retire. I don’t think she is totally conscious all the time anyway. This would have been the MSM press release if she had been on a ventillator receiving Jewish last rites. “Progressives” have to be collectively pooping themselves after Tuesdays results in the Senate. I don’t wish her any ill will, I just want her to retire, now! Yeah, I’m betting millions of prog secularists are out there lighting votive candles. 🙂 Sometimes I’m just dense, I thought …Pick #3 ? Did I miss something in the post like “What’s behind door number 3?” . But then I realized you mean it will be President Trump’s 3rd SCOTUS pick. Cracke ribs aren’t easy even on a spring chicken, Justice Narcolepsy is not going to make it much longer is my guess. I can’t wait to see President Trump pick a woman nominee. Jim Acosta will probably say whoever it is accosted him. I did the same thing. Scrolled back up and read it all again. lol Took me a bit. Oh good! I’m not alone 🙂 ! lol no you’re not. I am still trying to see the picture and commentary on a comment on I think the open thread that others see. I’ve clicked all over it and finally gave up. This isn’t my night. It’s a picture of doors 1,2 and 3 on The Price is Right. lol I see that. It was a comment on the open thread I think, maybe a tweet? It apparently has a picture and commentary. I can’t see it anywhere I click on it. It’s JTR’s 1:28 comment on general discussion thread. She’s also a colon cancer survivor so that may figure into the mix too. AND a pancreatic cancer survivor. Tough old bird. Yeah, maybe she should retire and smell the roses before she’s pushing up the daisies. Yeah, hope she puts the petal to the medal on that suggestion. 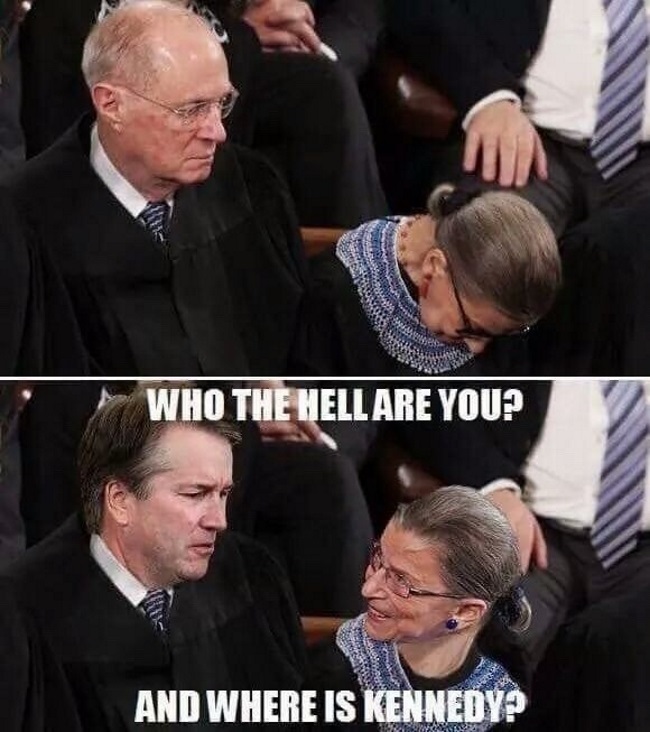 The dummies on the Left are offering their ribs to Ginsburg. Asking that she be packed in pillows. Pleading with Jesus to keep the old bat alive so that they can keep on killing their babies. As long as they’re offering I’d like a side of ribs myself. I think they’re Vegan ribs so 😏. They seem well aged in any case. Maybe the new House will vote to start harvesting patriots organs in order to keep the old evils alive longer. I spit in their general direction. After all, the so-called patriots nurtured those organs with the products stolen from the grasp of the oppressed masses so why not? Your kinder to them than I am, I have a particularly military phrase to describe what level of assistance I’d render were their guts on fire but I’ll defer using it. I think I’ve heard the phrase 😎. Her tiny stature, obvious frailty and severe kyphotic hump all indicate significant osteoporosis, which would be why she would break 3 ribs (not easy to do otherwise) from a simple fall. I suspect she fell against an edge of furniture, and not onto a flat surface. My question is WHY did she fall? It is always the question that must be asked when an elder has a fall event. Slip/trip? Surely her office does not have fall hazards like scatter rugs lying about. Internal medicine issue (unregulated blood glucose, unbalanced electrolytes, dehydration, bladder infection, cardiac abnormality)? The possibilities for an 85 year old are extensive. We will likely never know. I wasn’t aware of her cancer history, which may also be a significant factor. Low blood pressure can cause dizziness too. Yes. I include that under cardiac. I mentioned it because my mom fell and cracked her head against the wall at my house once. She was fine. Bones like iron and hard headed, but blood pressure was out of whack. I won’t “like” that–sorry she had that experience! Glad she had good bones. But yes, blood pressure is an issue. Low BP especially; the heart can’t keep the brain perfused, particularly when sitting after lying, or standing after sitting. My dad and his sister who were both in their really late 80’s had a problem when their doctors upped their BP meds trying to get their blood pressure down below 120 which I think is ridiculous. They both were passing out. Hope the doc got it figured out before either of them had a fall. And, of course, alcohol. She is known to be fond of her drinkies, especially in the evening. Well heck Tundra, do I need to get somekind of brace to protect my ribs? Forget it, I might need a body cast. 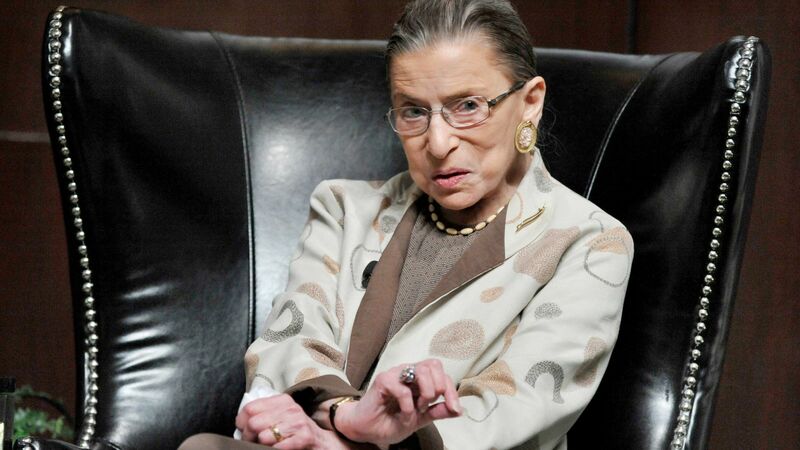 I suspect you can give Ruthie three+ or four decades at least , Menagerie. Enjoy your Jack. If she’s eighty five I’m only twenty five years younger. But if I live to be that old it will be with my Jack in hand. Ribs hurt so bad…..I can’t even imagine 3. Yes they do! Especially with deep breathing, laughing, cough or sneezing, or straining at stool. Any lung expansion or compression hurts severely, so the patient tries not to move the rib cage, which is what leads to pneumonia (“the old folks’ friend”). It is usually fatal in her age group. And, with the osteoporosis a good coughing spell could break a couple more.